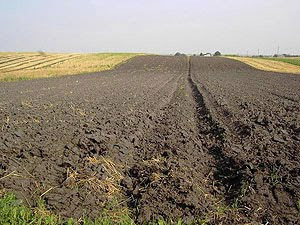 I am currently living in Moscow and have launched a fund to invest in Russian Black Earth farmland. The idea behind the fund is simple: there is a lack of safe investments in agriculture, especially in Russia. Regia Fund aims to channel as much money as possible directly into some of the most undervalued agricultural land on Earth. Please email me or Charles Bausman if you're interested. Below is a quick Q&A; about setting up this fund. While gold and silver are great investment right now, they are short term investment (something to hold over the next one or two years while the dollar's collapse plays out). In contrast, farm land is an income producing asset, which makes it a great long term investment. 1) Right now the world is underinvested in commodities and overinvested in debt, especially US debt. Once the dollar and the quadrillion derivative market collapse, the pendulum will swing the other way. Arable land will benefit from the desperate stampede into hard assets spurred by hyperinflation. 2) Global food inventories are critically low. Right now, the world has enough food in storage to feed the planet for about 55 days, which is the lowest food stores in 37 years. 3) When China is forced to revalue the yuan, 1.3 billion people (approximately one-fifth of the world's population) are suddenly going to enjoy much greater purchasing power. When this happens, they will use their new wealth to start eating more food and switch to a diet consisting of more meat. This is going to create a tremendous demand for all food products. I want to set up an investment in agriculture before this surge in demand. A) As the world's population grows, increasing demand for water is creating strains on reservoirs around the globe. B) The levels of aquifers (underground pools of water (like oil)) are dropping across the Earth because of overuse. For example, farmers in India have to pump water from over two hundred feet below the ground to continue growing their crops. This is not sustainable. C) Glaciers are drying up, and major rivers are becoming seasonal. For example, the Himalayas are predicted to have melted by 2035. 5) Fisheries are collapsing throughout the world, which increases the importance of land-based farming. 6) The world's population continues to grow, which of course increases demand for food commodities. Global demand for food is expected to rise 110 percent over the next 40 years. A) large areas of undeveloped agricultural land, with huge amounts of fresh water (no irrigation needs or water shortages). C) 25% of known world natural gas supplies. As investors flee the dollar's devaluation and the derivative market's collapse, a flood of capital will pour into Russia to develop this sources of raw material (fear of investing in the US will far exceed any fears of investing in Russia by this point). 3) A highly exaggerated anti-Russian bias in the western media has scared away many Western investors, making Russian assets more attractive. In fact, western investors in Russia have earned very high returns exactly because of this bias, which keeps capital away and gives higher returns to the capital that does come in. 4) Because of subsidies, land in West is overpriced compared to developing world (Land in Russian is selling for less than one tenth the price it goes for in the US and Europe). When skyrocketing commodities increase farming's profitable and Western governments run into budget problems as the dollar collapse, these subsidies are likely to be reduced, negating some of the benefit of owning agricultural land in those countries. 6) The Russian government is eager for western investment in its agriculture sector and has policies to subsidize and promote investment there. Unlike in the West, these subsidies are not at risk of disappearing. 7) Russia was the first nation to officially call for a new international reserve currency to replace the dollar. As such, they have likely better prepared themselves for the dollar's collapses than most other nations. From a personal point of view, setting up an investment in Russian agriculture makes sense. I have travelled to Moscow several times, and I have local contacts with whom I have been discussing investing in Russian agriculture. A direct investment via a fund is the best way I can recommend to invest in Russian agriculture. 1) Window of opportunity. If I took the time and did the work to research which public companies might be the best to invest in, by the time I published my findings it could be too late to get in at an attractive price. 2) Direct exposure. The advantage of investing via a fund is that you know your money is going directly into agricultural land and you stand to make all the profits from the appreciation of that land. In contrast, by buying a potentially overvalued stock, you could miss out one much of this profit. 3) Leverage. When investing directly you can borrow from Russian banks at government subsidized rates an amount equal to the amount you are investing. That is a great deal for the investor. You don't get this investing in the big companies. They tend to usually already have a full credit line. 4) Benefiting from future round financing at higher valuations. Early round investors benefit from less expensive future financing. 5) Price. As a general rule, you can buy agricultural assets much cheaper when buying directly rather than buying stock of public companies. 6) Lack of options. There are two public companies one can currently invest in. One of them, Black Earth Farming, has had serious management problems which they have not fixed yet. Who else is involved in running Regia Fund? I am working with Charles Bausman and Rich Selby to acquire Russian farmland. Charles is a Russia-based American with experience in Russian agribusiness. Charles Bausman also has great deal of experience (18 years) in working in Russia and speaks fluent Russian. Charles will identify, do due diligence on, and acquire properties, and then be responsible for setting up efficient management on the properties. He has already identified a number of properties for potential acquisition, and he is also a director of the fund. I encourage you to contact him directly with any question about Russian agriculture or Regia Russia Agro Investment Ltd. Charles also has extensive experience in fund management and should be able to answer all your questions. Rich is a well known veteran in international agribusiness. with 22 year experience, who has been working in Russia for the last 16 years and has a deep experience in large-scale agriculture operations in Russia. He is currently on leave in Des Moines, Iowa, during which he will be meeting with investors in various locations around the US. Rich also owns and operates a private corporate security consulting company specializing in Russia and has worked with various large western corporate clients in Russia on security and dispute resolution issues. Regia Fund couldn't hope to find a better person to insure the safety of its Russian investments. Right now is a once in a life time opportunity to invest in agriculture. It will be decades before the world sees farmland as undervalued as it is in Russia today. However, once gold/food shortages are revealed to the world this summer, the situation will quickly change as panicked investors flee into hard assets around the globe. For anyone considering investing in agriculture, now is the time to act. 1) There are some incredibly attractive opportunities available right now to acquire black earth farmland at firesale prices (below $600 per hectare), some of which we know won't last much longer. Investments in Regia will immediately be used to secure land at rock bottom prices. 2) Agricultural commodities are going to start rallying going into the summer on tightening supply (See *****2010 Food Crisis for Dummies*****), which will start driving up farmland prices. 3) With gold manipulation OFFICIALLY CONFIRMED, the collapse of the London paper gold market and the dollar is imminent. Owning hard assets outside the US financial system will become very attractive, and this will also start pushing up the price of farmland. Again, please email me or Charles Bausman if you're interested. 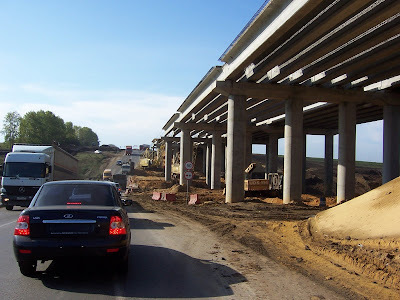 The pictures below were taken when I was visiting Russian farmland on September 2, 2009. See more pictures from January visit of farmland in Tambov region. Nova Online explains Black Earth. The Black Earth, or chernozem (???????? 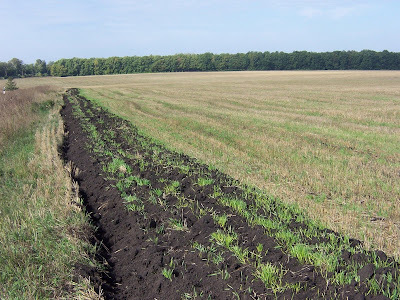 from the Russian words for "black soil," chernaia zemlia), region is a belt of extremely rich and fertile soil stretching from the Moldova and the Western Ukraine eastward, narrowing as it goes further east into Siberia, before coming to an end near Irkutsk. 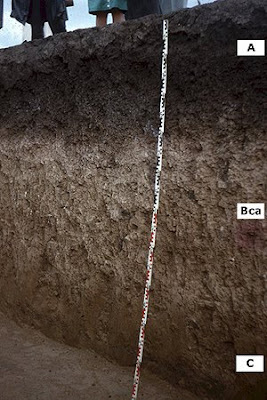 This is some of the richest soil in the world. The chernozem contains a very high percentage of humus, anywhere up to about fifteen percent, and also important organic minerals such as phosphorus and ammonia. The depth of the chernozem has been measured at anywhere from forty to two hundred and fifty inches, but is usually about a foot deep. Because it very fertile and does not require any fertilizer, it is considered some of the best soil in the world for growing grains. 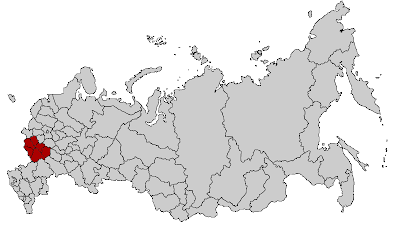 The "black earth" region of Ukraine extends throughout about two-thirds of the country. For centuries the Black Earth region was mainly steppe, open grasslands with no real agricultural being carried out. The problem was that the upper level of the soil was so thoroughly entangled with roots, that it proved impossible to cultivate with wooden ploughs. Only when steel-tipped ploughs were introduced in the early nineteenth century did agriculture become important. 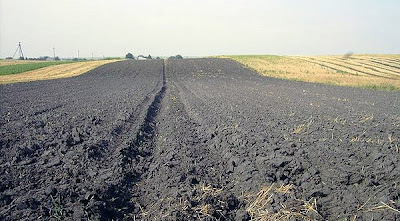 With more improved machinery and efficient cultivation techniques, the Black Earth region really emerged as the bread-basket of Russia at about the turn of the twentieth century. The region proved to be enormously important to the industrialization of Russia that was carried out by Sergei Witte because Russia could now export wheat to make money to invest in its industrial development. During the collectivization and industrialization of the Soviet Union as part of Stalin's first five-year-plan, the Black Earth region again bankrolled industrial development in the country by exporting wheat from the Soviet Union, but this time widespread famine resulted throughout the region as not enough wheat was saved for domestic consumption. Cofounder. 18 year Russia experience. Last 2 years in Russian agribusiness. Hands-on experience in acquiring Russian agricultural land, building agribusiness management teams, and evaluating Russian agribusiness companies. Strong understanding of how to finance agribusiness projects. Prior to Regia director of Mesed Agro, a large 50,000 ha cropping company in the Central Black Earth Region. Ongoing work with several large agriculture investment firms in Russia identifying and acquiring properties. Extensive experience in all aspects of agricultural asset valuation, acquisition, title, due diligence. 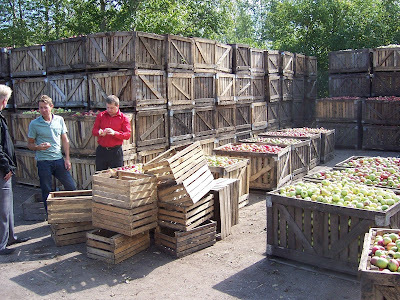 Based in heart of Russian farmland region with deep local knowledge and contacts. Proven ability to retain excellent local personnel. Previous experience includes building a successful airfreight and mailorder company, running Ozon.ru, Russia's largest ecommerce retailer, hedge fund investments in Russia and asset management. Strong network in Russian business, finance, and government. Proven ability to build and manage strong Russian management. Experienced in corporate finance, private equity, and financial markets. Age 45. US citizen. Hometown: Greenwich, Connecticut, USA. Finance MBA, Columbia University. Location: Tambov, Russia. Foreign languages: Russian , German (both fluent). Married, 2 children. Well known veteran in international agribusiness. 22 year experience, 16 of which in Russia. Most recently, Mr. Selby has been managing a 200 000 acre 200,000 (80,000 ha) grain and oi lseed cropping operation in the Ukraine. Previously, financial advisor to SAKHO, the largest Russian cropping company with 400,000 ha in production. General manager agroscience division of Dow Chemical Company, Moscow, Russia. VP at Compressor Controls Corp, a multinational oil and gas controls company. Regional VP for agribusiness division of AES, a Fortune 500 global power company. 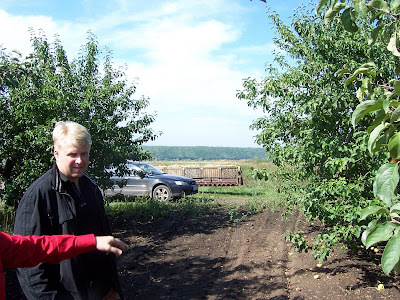 Special Attache for Agricultural and Environmental Issues, US Embassy, Belarus. Comanaged the operations of ACDIVOCA, a U.S. government-sponsored overseas agribusiness program with extensive operations in Eastern Europe. Strong experience in cropping operations, including large scale organic farming. Strong experience in financing agribusiness projects in Russia. Organic farming experience: Currently cropping consultant to Lehi Roller Mills, one of the largest organically certified mills in the US. In 2006 founder, New Century Organics, Boulder Colorado, which identifies land that can be converted to organic and assists owners in organic certification. 2002 board advisor to NAPI, a Navajo owned 27,000 acre organic complex near Farmington, New Mexico. Mr. Selby also owns and operates a private corporate security consulting company specializing in Russia and has worked with various large western corporate clients in Russia on security and dispute resolution issues. 45 years old, US citizen. Hometown, Des Moines, Iowa. BA in Russian and business administration from University of Iowa. Completed graduate studies in agricultural economics at Iowa State University. Location Des Moines (current), and Tambov (upon commencement of operations). Foreign languages: Russian (fluent). Married, 2 children. This entry was posted in Attractive_Investments, Currency_Collapse, Food_Crisis, Key_Entries, Russia. Bookmark the permalink. Though I rather suspect that Russia and its allies will, before 2012, be involved in a total war with the US and its allies, nevertheless it is true that there are few good investment opportunities available in the West nowadays, noplace that is even really _safe_ for parking one's money. As you have demonstrated here over the last few months, in Western "markets" there is so much fraud, manipulation, and leveraging (imaginary gold, etc. ), and such a lack of transparency (corporate accounting rules), that it is quite possible that within a few months the dam will break and most or all Western paper or digital assets will go to zero. Hard assets, especially if they are located outside the reach of Uncle Sam and his allies, seem to me to be the least bad investment alternative at present. So, good luck! great stuff. what is the minimum investment you're seekign for preferential shares, eric? also, you mentioned the word quintillion re: derivatives. was this hyperbole? if not, can you please share the source of this information which would put derivatives near the quintillion mark in dollars? also, you mentioned the word quintillion re: derivatives. was this hyperbole? I mixed up my very big numbers. I mean quadrillion. Thanks for catching that. 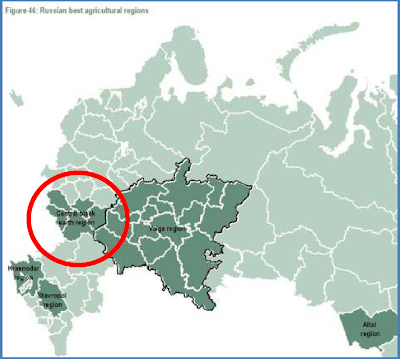 Does the Russian government consider agriculture "strategic" like they do oil and gas? (Food would seem to be very strategic if you are right and tight supplies become the norm.) If they do - or if they do so in the future - you could lose a chunk of your investment. Do you have an idea for how that risk plays out? $50,000 is too rich for me, but I might be interested in a $5,000 share. $5,000 isn't really practical. I am consisdering setting a lower minimum investment of $20,000 if there is enough demand. After all, a goal of the fund is to provide a direct investment in Russian agriculture to readers of this blog, and $50,000 might be too high for many people. We will have to see. Thanks to nuclear deterrent the total war with Russia is not possible. What's possible is induced local instability in Northern Caucasus and possibly few other regions. But after dollar collapse all hell will go loose all over the world, and heavy handed methods of fighting unrest and insurgence will become so widespread that Moscow will feel less constrained in that respect too. So nobody will listen Western bitching about Chechnya anymore. the idea is good, and I might be interested. However, 50,000 US$, and even 20,000 are a lot of money, and after all I appreciate your blog, but I do not know you. Do you plan to provide some form of guaranty, given by a third part, for people investing in your fund? We are not going to war with the Russians any time soon. Anton Kleutgen, I deleted your comments. To anyone else, if you doubt my competence or honesty, then say so outright instead of implying it under the guise of "help". What exactly are the investors acquiring? Shares in an agricultural activity? Shares in a landholding? Shares in the produce yielded by the land? AN INVESTMENT IN RUSSIAN AGRICULTURE! It isn't rocket science. The money raised will be used to aquire and farm Russian agricultural land. After 2 to 5 years, investors will get their money back via a strategic sale or IPO. If the value of agricutural land goes up, investors will make a large profit. Unallocated land (which like unallocated gold � �paper gold� � can be open to fraud)? Allocated land? Thank you, Kleutgen, for comparing my fund to the ponzi scheme being run by Wall Street banks. Thank you again, Kleutgen. The only reason I would need a thoroughly honest and experienced Russian citizen partner IS IF I DIDN'T ALREADY HAVE HONEST AND EXPERIENCED RUSSIAN PARTNER. If I was trying to start a fun without honest and experienced Russian partner, that would make me REALLY incompetent wouldn't it? Then why did you compare my fund to a ponzi scheme and imply that I am an incompetent idiot? If I sound annoyed. It is because I am. I hate backhanded complements. Your comments were most appropriately excellent, both in respect to Anton's insulting words and your informative and hedged response. If only my computer would allow me to send you an email indicating my absolute interest in an Ag/land investment opportunity in Russia. This is the best investment idea I heard from anyone for some time. If you could possibly, please send your email address to markbeth@comcast.net, so that I may share the depth of my financial interest in this idea with you. Russia is a communist country.. Isn't it dangerous? What if they acted like Venezuela, one day government seizing private company?? IMHO, I believe this is a valid argument to question this fund..
Russian has changed enormously. It is not Communist anymore. Go there and you will be very surprized. I am truly sorry that my comments sounded to you like an insult, or an implied insult. I in no way think you are an idiot or a shyster, but an honest and intelligent person. I left those long comments because the only information I had about your fund idea was what you published here, and as of yesterday that was still rather slight. I did not mean to suggest that you were thinking of setting up a Ponzi scheme: I merely wished to point out the possible difficulty involved in trying to prove to potential investors in the West that any business venture set up in far-off Russia via Russian-language documents cannot be a Ponzi scheme. I am a regular reader of your blog and really like the idea of a fund investing in Agriculture. I am just a bit worried about the real protection foreign investor have in Russia but I agree with you that this business in Russia is likely to produce nice return in the coming years. Myself I have some project in the Agriculture sector but not in Russia, in another emerging country that I will not mention for the moment given that my personal business are not already put in place (I think you could understand). I will be happy to know how your project is evolving as in some case I would be interested to made some investments. I am part of a product development team inside a Private Bank and therefore and I will be interested to know if your Fund will be open to European investors. Could you please keep me informed of the evolution of your project. ...there are other countries in Eastern Europe possessing fertile an (relatively) inexpensive agricultural land...three of them, in particular, much healthier, in all senses, than Russia. I know as I have lived and worked for 19 years in all of them and speak the respective languages. Moreover, I am a lawyer with experience in both European and US tax and investment. Russia, without a Russian partner will be a tough environment, not impossible, just tough. The business mentality is utterly unconstrained by any ethical or legal considerations...none. It's strictly a matter of whom you know and whom can you intimidate. "Trust" doesn't enter into the matter...power, and only power, does. Should anyone here wish to discuss the other opportunities available, that includes you. Mr. DeCarbonnel, I will be happy to oblige. A fund is feasible BUT only if approached correctly and initially in lower-risk Eastern Europe arenas....Hell's Bells the Russian even "skinned" some of the hardest-nosed and most flexible Czech investors who had ALL the contacts and knew the mentalitz thorugh (forced) historical association...if you don't know the territory and the players...well better not to begin. ...apologize for the "typos" in my previous post. Here is my email for those who might like confirmation of my credentials (Ministry of Privatisation, etc.) and views on additional countries with better legal infrastructure and greater safety for agricultural (or any other) investment: mountain_cat_13@yahoo.com. Don't let the old political distrusts effect you. There are lots of honest Russians. Things are improving and changing all the time there. A new generation not raised in the comunist regime is growing in influence. The business mentality in Eastern Europe has its roots only partially in the Communist Era. There is a much longer history to be considered. Europe is a very different culture than that of the US...it has only superficial similarities and one must live there for many years to acquire that insight and understanding. Legal systems don't function well in Eastern Europe because nobody in power wants them to do so. That won't change for generations. As for the younger generation: They bear, in financial matters, comparison to unfettered, hungry whelps. They can be and frequently are smarter, more ruthless and more rapacious than their communist fathers. "You've got to know the territory". I do. 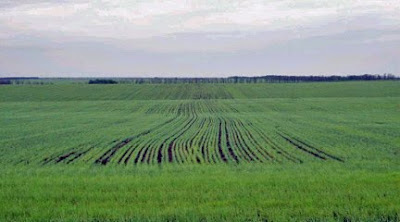 I am certain about how succesful can be an investment in farms in Russia. The risk involved it is as high as investing in so called stable countries from latinamerica like Mexico, Argentine, or even till some years ago, Venezuela. The only thing we must be afraid of Russia, are the articles our good well respected magazines such as The Economist, Foreign Affairs, and the like, produce to feed us with unreflected fears. Russia, as Mexico, as Ukrayne, and Congo, are the only places where water will be abundance, despite of any melting going on. Thus, as agriculture is more related to manage water than land, seems to me the right spot. is minimum entry share already decided? I think the idea is good but why start your own fund there area many funds and corporations that set up before the financial crises and are now trading at low values. Why not just search out value and leverage against other peoples skills? The key investment advice is invest in agriculture. Does it have to be in Russia? Not really. yes, weird suggestion that Russia has good infrastructure . . and (with respect to your baby boomer comment), Russia supports an enormous retired population that's growing. Badly aging demographics, I think much worse than European average. when I think about Russia, it reminds me of western China, except it's moving in the opposite direction. It feels like a frontier, but it's COLLAPSING . .
what you write about agriculture is of course quite cogent . . but you complicate a simple thing (your sound conclusions about agriculture) by doing this in Russia. still, I'm intrigued. Good luck to you! Like a good many who farm the Great Plains of North America, I am a descendant of the Volga Germans. Our people, tired of endless war, left Germany for the Volga in 1767 at the invitation of Katherine the Great. In the late 1800's and early 1900's they emigrated again, many moving to farms in the Great Plains. Those who stayed in Russia suffered many misfortunes, from starvation and expropriation in the 1920's and 30's to deportation to Siberia in WW2. Though my ancestors prospered for the 120 years they were in Russia and emigrated before things got really bad there, what happened to those who stayed makes me very afraid to invest there. How much radioactive elements are in the soil from the Chernobyl burnout? Why would anyone let such fabulous soil lay untilled? Just asking what no one else asked. We are brokering and investment pact on behalf of our client seeking to invest in Russia. Our client seeks to invest $34,000,000 (Thirty Four Million US Dollars) immediately if the proper partner and project is identified. We wish to know if you are interested in this partnership, whereas such interest may be indicated by sending a timeous response via email to me, giving us an idea of what businesses you may propose to invest in. The fund owner has interest in Real Estate and Hospitality businesses and would consider other industries where the risk factor is manageable. Jack Turner. CFRE, CGS, M.Ed. Coming to the Russian market, especially in the agricultural land assets business, you might need to find a relible local partner, to minimaize your risks and to insure your investment. Before the business plan stage, all the incoming info and datas should be expertized by locals, who better know realities. Most of existing foreign investors in Russian farm land did it. Hereinafter, as long they are in business here, more local specialists become involved. I am Dr. Omar Bin Sulaiman, The Chairman of Dubai International Finance Center. DIFC is the largest finance center in the Middle east with over $5 trillion private and corporate investment portfolios. Congratulations on your new enterprise in investing in Russian agriculture. I guess my only question or comment was to ask about the current state of foreign capital ventures in Russia. Has a lot changed recently? My experience has been that the investment landscape in Russia is perilous, to put it mildly. There is a real culture of "get rich quick" thugster capitalism that is going to take years to dissipate. I'm not sure you're considering all the variables here. Food production has changed drastically. Technology has allowed for instance Israel to produce 70% of its own food, despite the desert environment. Certainly the primary factor in food production for the future will be technological innovation and ability to apply it. How has technology allowed israel to increase its food production? Water is of course a key component as well. This area has also progressed significantly. The issue of water supply is simply an issue of energy. 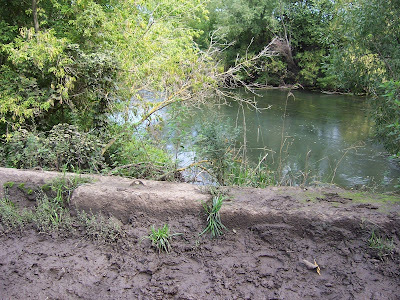 As we solve these problems, water supplies will cease to be an obstacle. So the primary issue is political environment. I tend to think you're underestimating how the locals will react to some corporate carpet bagging. From my understanding, Russia is not like america where they invite any foreign investor in who can afford the price to freely exploit the land for profit. Your problems will be entirely political in this venture. Tests on 24,000 acres of Corn and Wheat in the Midwest USA showed a $784,000 decrease in production costs, an increase in yield, and a serious increase in the nutritional quality of the crops. Use of the mating calls of birds while applying the OceanSolution increases both yield and nutrient uptake by the plants much like the music for Sonic Bloom does. Sonic Bloom also greatly increases crop yields and nutritional content. It, however, increases production costs per acre. Eric while you have been focussing on the broken US economic engine, the USDA have walked grain prices back down. Nobody is going to invest in agriculture while these crooks can bring down grain prices so easily despite a clearly troubled global grain crop in 2011. As a grain farmer myself, I will be winding production back in 2012. No incentive to play the year too hard. Good luck but suggest you get back to researching what is going on down there at the USDA.